Terry Velour Kimono Robes: -Personalized kimono robes, monogrammed kimono robes, Personalized gifts, monogrammed gifts. Opulence and Quality. Personalized kimono robes, monogrammed kimono robes, Personalized gifts, monogrammed gifts, embroidered gifts, embroidered kimono robes, keepsake gifts, kimono robes, terry velour robes, terry cloth robes, men's robes, Women's robes, terry robes, waffle robes, terry kimono robes, terry velour kimono robes. 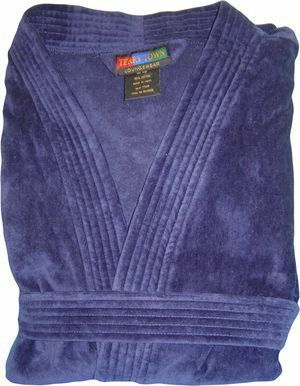 Terry velour - Terry inside/Polished finish (velour) outside - fit for kings and queens. 48" length falls just above the ankle.